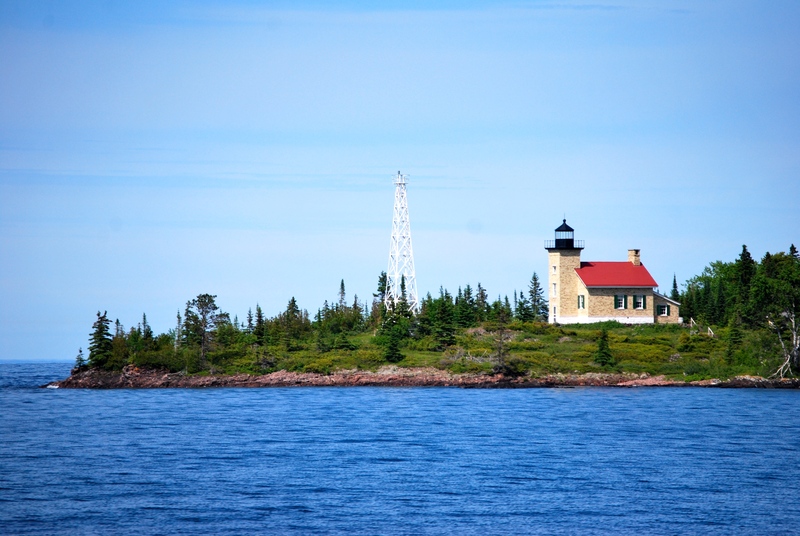 Across the bay from Copper Harbor is still another lighthouse – the Copper Harbor Lighthouse. 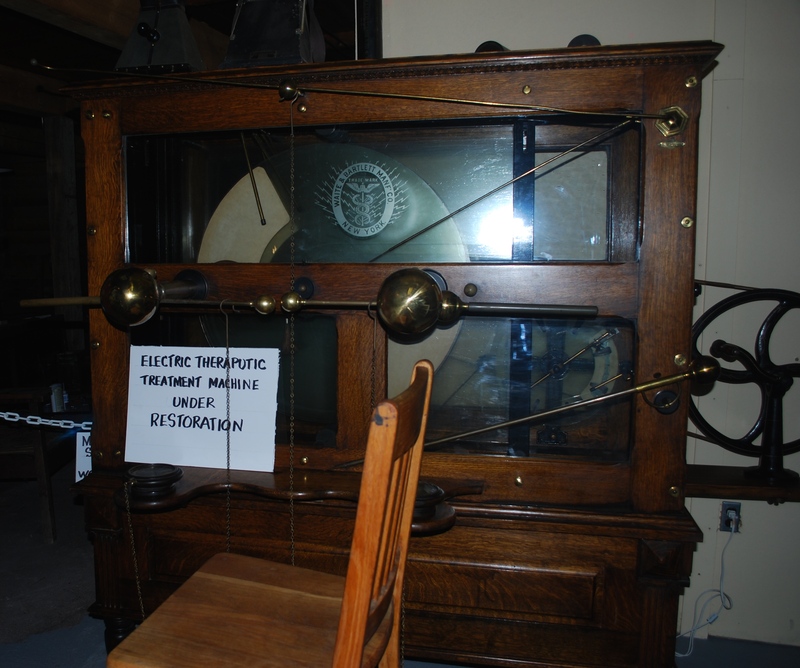 You can catch a ferry in town and take a boat trip across the bay, then walk around the area and see the exhibits. We did not do this this time because we’ve done it before and it does cost money – $17.00 for adults/$12.00 for children. Which is reasonable, but time is also a factor, so we did not put it on our todo list. 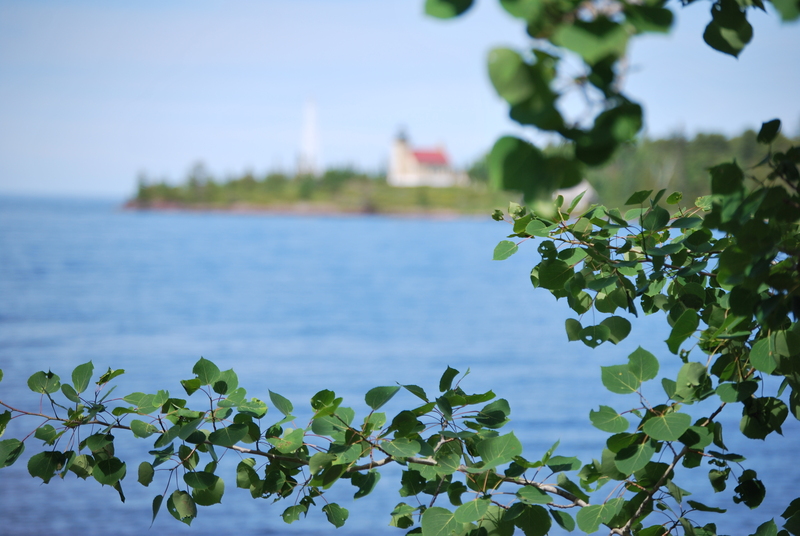 However, there is a park (another state park) across from the Fort which gives you views of the lighthouse. Again, that whole do-you-live-in-Michigan thing is at work so you have to pay for a state park pass to park in the parking lot to see the lighthouse. So during our first ride to Copper Harbor, we couldn’t park in the park parking lot. But now we had a day pass (from the Fort) and so we made use of it and parked and took some picture. A beautiful June afternoon and Elizabeth and I both took lots and lots of pictures – so I’ll stretch them over a couple posts. 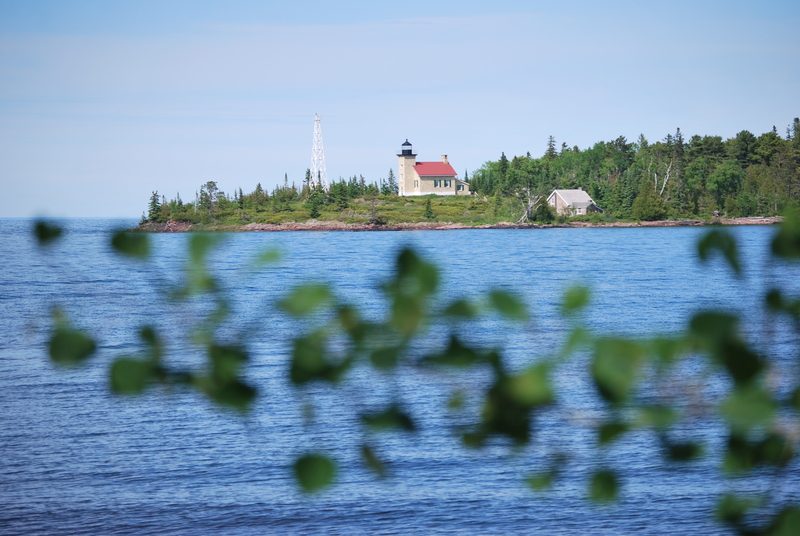 We drove back up to Copper Harbor and Fort Wilkins – a fort where nothing ever happened. Anyhow – we had thought about visiting the fort a few days earlier, but were stopped at the gate with someone who said we had to pay quite a bit because we weren’t from Michigan (it’s a state park). That day had been rainy and so we decided to think about it – not wanting to pay to walk around in the rain. 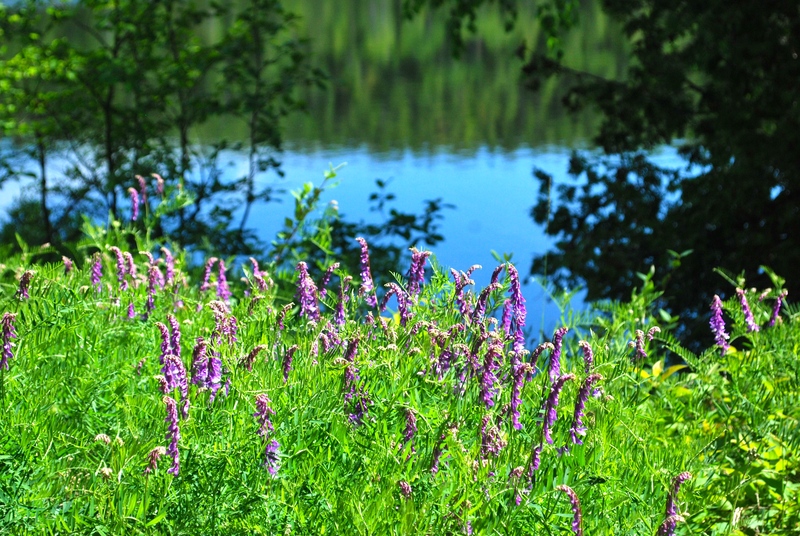 Now we were back … the day was beautiful and I told her I used to live in Michigan. That didn’t work, but because we only wanted a day pass – I think it cost $9.00. Which was well spent. WHAT: Fort Wilkins is on a natural harbor so when the copper rush of the 1840s happened, a lot of men from all over came to find their fortune. The government decided they needed a fort to control the supplies being shipped in and the copper being shipped out. The fort was also built to keep peace between the miners and the local natives … however, the miners turned out to be rather law-abiding and the natives didn’t really care that they were there. The fort was used again after the Civil War to house soldiers who hadn’t completed their tour of duty. But 27 first buildings were built on a beautiful piece of land. And it is very well done. AND: I’m guessing they’ve recently renovated the fort because it’s very well done. Elizabeth and I were both impressed with the exhibits and thought they were cleverly put together and captioned. The grounds are well-kept and during the ten weeks of summer, there are guides in period costumes that role play their parts. Here’s what Elizabeth wrote in her journal. “One of the first things we found that we thought was pretty cool, was they had some whites (you know, white laundry) hanging up on a clothes line except every “white” had one step of washing the laundry, So since they didn’t have washing machines, there were quite a few steps – I think about 8-10. We also saw the blacksmith and bakery. I got to take a loaf of bread out of an oven with one of those giant paddle things. The rest of the rooms were cool, too. I even got to go inside an old jail cell. At the library, one of the acting soldiers came up an talked to us. He said that they got around 25 sheep that weren’t supposed to be there and they had gotten away. KID FACTOR: Most of the exhibits were kid friendly and there was a lot of room to run around. I would definitely recommend this to someone who is looking for something to do with the kids on the peninsula. 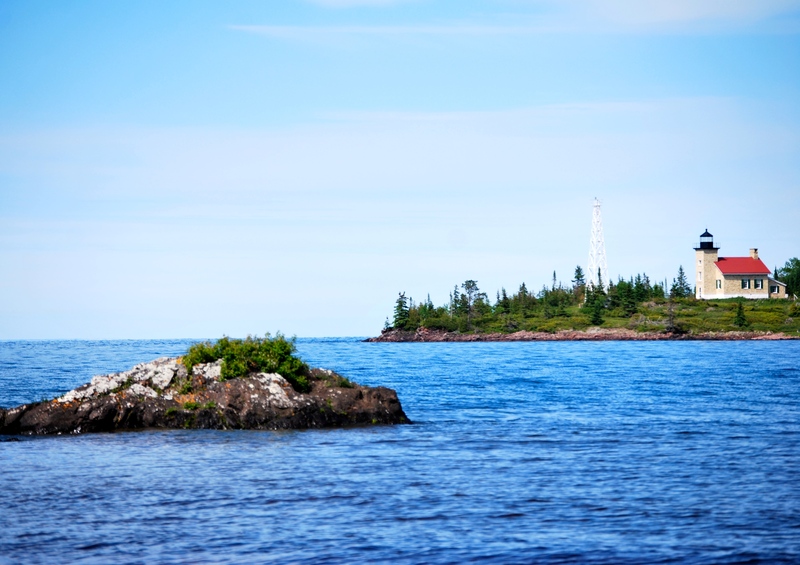 WHERE: I’ve been to a lot of lighthouses that have been built on rocky cliffs or far out in the water which makes it difficult for people to visit them. Eagle Harbor is different. The lighthouse is located at the end of a residential street and is easy for anyone to access. We did go inside this time. I don’t remember doing that before. However, you cannot go up to the top, so that’s rather disappointing. AND: Two smaller buildings are part of the structure. One in particular is interesting as it focuses on Great Lake shipwrecks. And the views alone, are worth the visit. KID FACTOR: You can walk on the grounds, but to go inside you do have to pay. This was one of several places we visited, where E. got in free or for a reduced price because she’s not yet 13. (Missed it by a few weeks.) The cove is very cool and I have pictures of the kids there from several years ago and they had fun playing with the rocks. Older kids might like the shipwreck info as E. did. I’m not sure many kids would be that excited about the inside of the lighthouse itself – just looks like someone’s house and not being able to go to the top kind of takes away any kid factor. But again, worth the visit because of the awesome views. Just being honest about the kid thing. This was very cool since it was scrollwork in wood. A light – but not the one that’s working on the top! We went sunset searching … and our first night on the beach was one of those unusual nights – not sure we’ll ever see a sunset quite so unusual. The night was cloudy. Cloudy often helps a sunset view but this was too cloudy and the sun was hidden when we first got there. We still took a couple pictures because the Lake Superior shore is always a photo op. But then as the sun got lower, it completely disappeared except for a narrow strip along the horizon, looking like someone had turned on a narrow neon light. We patiently waited. and suddenly we saw a tiny burst of sun just as it hit the horizon – but the even more unique aspect was the cloud cover on the right side (of picture), but the neon light effect on the left side. Sort of a half sunset. The sun still high in the sky and Elizabeth on the beach. We trade places and Elizabeth takes a picture of me. A good view of the “half” sunset. I told Elizabeth another display looked like a school project and then we saw that that’s exactly what it was – from many years ago. To give the management the benefit of the doubt, several reviewers mentioned how nice, friendly and informative the tour guides were – but there were no tour guides in sight that day, so maybe that would’ve helped. 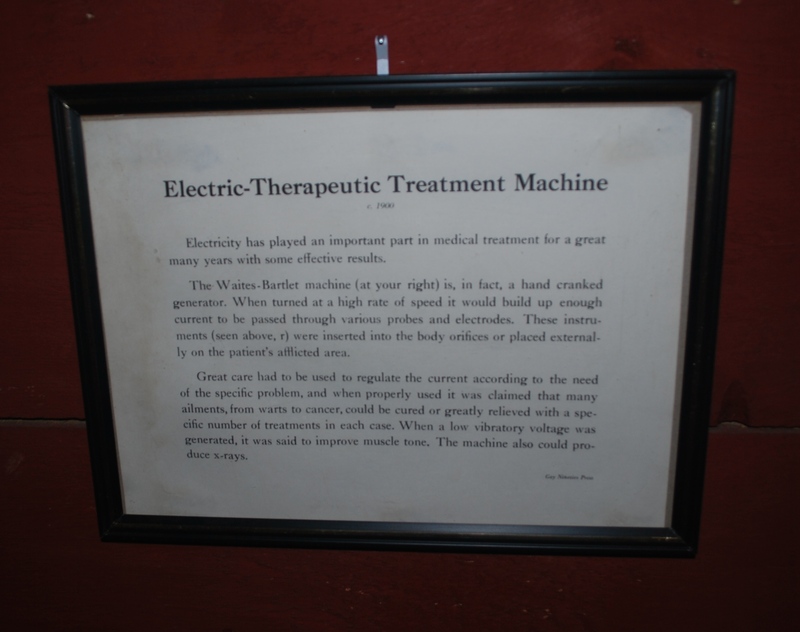 One interesting thing was the sign explaining the machine and how the probes were placed in the body orifices. 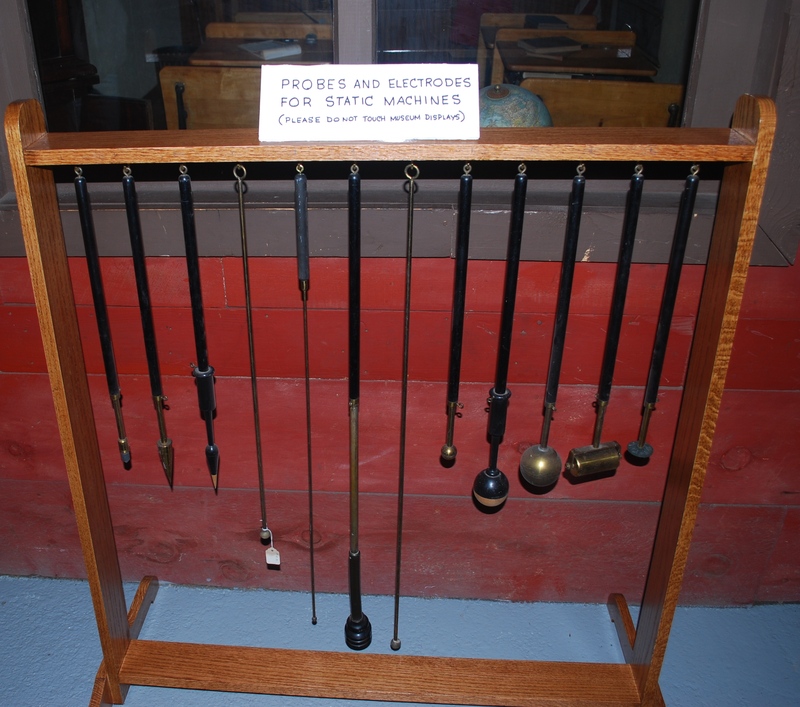 One very scary thing was the rack of probes used in the machine to poke in the orifices of the body. Don’t even think about it … Seriously. KID FACTOR: My opinion – I don’t think this would be the best place to take kids … unless the tour guides are extremely kid friendly which they might be. Since we didn’t have one, I couldn’t tell you.